in EUR, EUR to GBP, GBP. Last week saw broad volatility and sharp movement in the Euro to Pound Sterling (EUR/GBP) exchange rate, as Brexit fears and Eurozone economic data drove large market movements in both the Euro (EUR) and Pound (GBP). Despite the Euro’s plummet at the end of the week, EUR/GBP still closed the week with slight gains. EUR/GBP opened last week at the level of 0.8518 and closed slightly higher, near the level of 0.8556. EUR/GBP was far below being able to hold last week’s best levels though. Towards the end of the week, EUR/GBP briefly touched on a high of 0.8711 – the best level for the pair in over a month. At the time of writing today, EUR/GBP was edging higher again and was trending close to the level of 0.8570. The Pound was weak on the latest Brexit and UK economic uncertainties, but the Euro was unable to capitalise on the Pound’s weakness amid recent poor Eurozone data. Demand for the Euro briefly improved last week, amid some signs that Eurozone economic activity was seeing an upturn following months of slowdown. However, towards the end of the week the Euro was buffeted by Markit’s March PMI projections – and in particular, the manufacturing figures disappointed investors and fell short of expectations. German manufacturing was forecast to have lightened to a contraction of 48, but instead worsened from 47.6 to a deeper contraction of 44.7. French manufacturing unexpectedly contracted as well. As a result of disappointing manufacturing activity across the bloc, the Eurozone’s overall manufacturing figure contracted at 47.6 and the composite PMI printed at a lower than expected 51.3. On top of this, extra weak data from Asia over the weekend has worsened market concerns that a global recession could be on the way, further worsening concerns about the Eurozone economy and limiting market demand for the Euro. Demand for the Euro was a little supported by this morning’s stronger than expected German confidence data from Ifo though, which helped the Euro to hold some of this morning’s gains versus an unappealing Pound. Broad and sharp Pound movements last week were caused by major Brexit developments, as the EU shifted its stance on delaying the Brexit process across the week. This week is likely to be yet another vital one for Pound investors and the Brexit process in general, as market attention turns towards where Brexit will go from here – assuming the UK government’s negotiated deal is blocked for a third time. 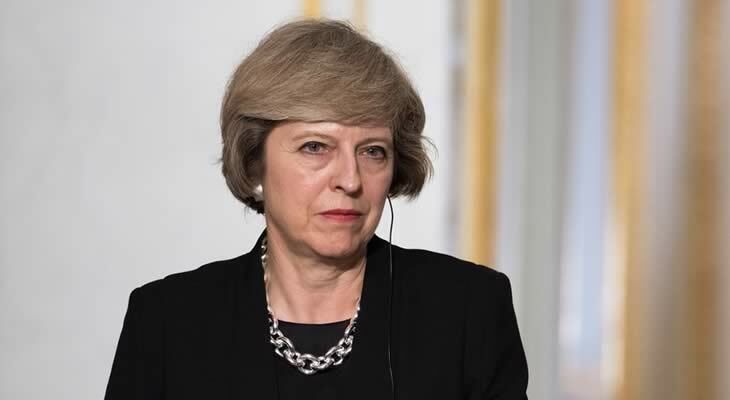 Prime Minister Theresa May is seeing pressure from within her own party to resign, and the Pound was left unappealing amid fears of the fresh uncertainty that a leadership contest could cause at such a critical part of the Brexit process. If the government Brexit deal is blocked, the UK will only have two weeks to decide on an alternative course for Brexit before the EU’s new 12th April Brexit date hits. Analysts have become more anxious about the chances of a no-deal Brexit due to the fresh uncertainty over the government’s health and the future of the Brexit process this close to the EU’s Brexit date. The Euro lacks the drive to capitalise on the Pound’s latest political uncertainties, but if any more notable Eurozone economic data beats market expectations in the coming days it could help EUR/GBP to push higher. Tuesday will see the publication of Germany’s April consumer confidence data from GfK, as well as France’s final Q4 growth rate report. French consumer confidence will follow on Wednesday, but the Eurozone’s most influential data will be published towards the end of the week when Eurozone confidence as well as German inflation and retail sales stats will come in. Major developments in UK politics and Brexit are highly likely to drive the Pound’s movement this week, as markets gear up for yet another week of Brexit chaos amid a quiet UK economic calendar. If the government fails to pass its Brexit plan through Parliament for a third time, the Euro to Pound (EUR/GBP) exchange rate will react to news regarding how Britain may tackle Brexit next.